100% Pure Canadian maple syrup. Produced from an Ontario farm with grade A quality. 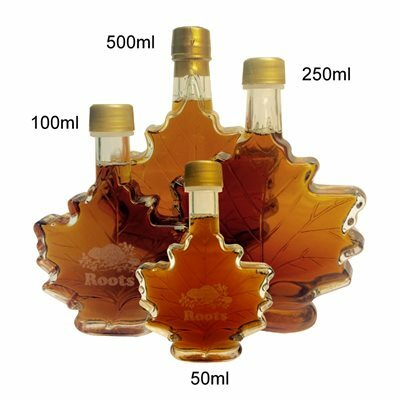 Packed in maple leaf bottle. One location laser engraving logo on the bottle. Custom packaging options available, contact for details.